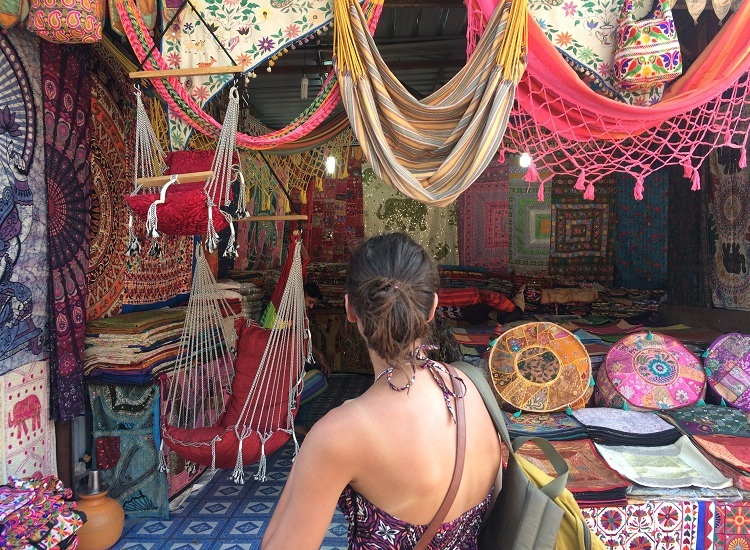 If you are planning your first solo trip to India, then you need not overthink. India is one place where every visitor can have a myriad of experiences. There are so many destinations for first solo trip to India, that you are spoilt with options. Solo travel is a quest to discover oneself along with spiritual rejuvenation and adventures. If you are seeking to travel to escape crowds or to try new things, solo traveling is a remedy for your body, mind and soul. India offers a host of amazing destinations for your first solo trip. The top options for travelers, bit by travel bug, are not confined to one particular place in India. Goa is perfect for a solo traveler, in fact, it is one of the best destinations for your first solo trip to India. The land of sun, sea and shores offers the idyllic opportunity to do soul searching. Marvel at glorious sunrises and sunsets. Stay in beach camps with many hippie at hearts. Go beach hopping, there are more than 50. Enjoy swimming and activities like jet-ski, snorkeling, scuba diving, boat rides, etc. Trek to the Dudhsagar waterfalls, take a backwater cruise or go exploring the wildlife sanctuaries. Nightlife, festivals, dining, sightseeing add to your incredible vacation. Spend days, weeks or months, you will never have enough of the scenic beauty, the simple lifestyle or the experiences of Goa. Hire a motorbike or a scooty and off you go exploring. Laze on the beach, go sightseeing or try the adventure sports. The closest railway station is Margao and the closest airport is Dabolim. You can get around in cabs or even hire scooters to see the place yourself. November to February, when a lot of people rush in for the New Year. Manali is the classic escape in the hills. Settled in the lap of Himalayas on the banks of Beas River in Himachal Pradesh, Manali is one of the top places for solo trip in India. The hill town enjoys two major seasons of summer and winter, you can take your pick of which season you want to experience Manali. Summer is perfect for exploring, trekking, river rafting and other sports. Winters brings snow and snow sports. The old town, ancient temples, hot springs, monasteries and other places from Hindu legends are open throughout the year. Spend days exploring the hills. 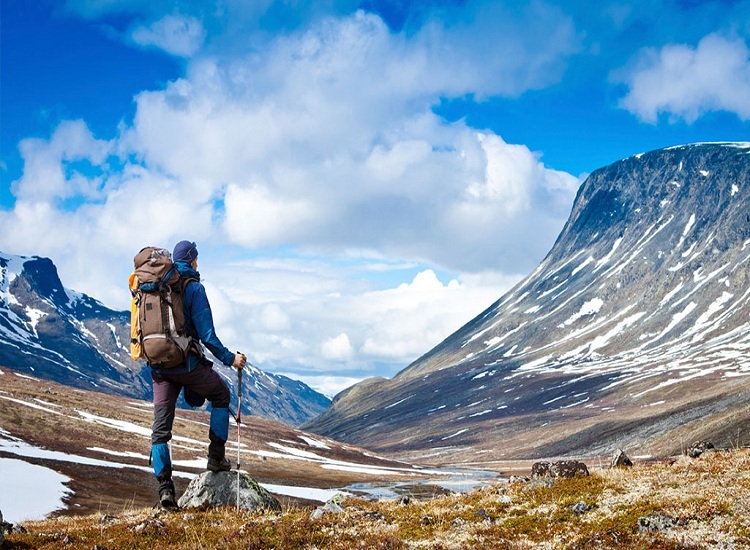 Go trekking or camping in the mountains. Explore the tourist sights, hot-springs, monasteries, temples, apple orchards, etc. Get to Rohtang Pass and Solang Valley, where you can enjoy adventure sports. You can either fly to Bhuntar which is 10 km from Manali or take an overnight bus from Delhi or go on a bike ride if you want a longer, more scenic path. Lahaul and Spiti are two places perfect for a solo trip. Settled in the remotest corner of Himachal Pradesh, these locations are what we can say are the best destinations for your first solo trip to India. These are one of the most unexplored terrains in the country. Explore rugged mountains, cross high altitude mountain passes, ancient monasteries, glacial lakes, and breathtaking views in the mountain locales. Stay in the monasteries, Ki, Kibber, Tabo, Dhankar or trek to Chandra Taal or stay in the humble villages of the mountain, whatever you do, it will be an unforgettable experience. Trekking, camping at Chandra Taal, explore ancient monasteries, bike tour, village stays, etc. 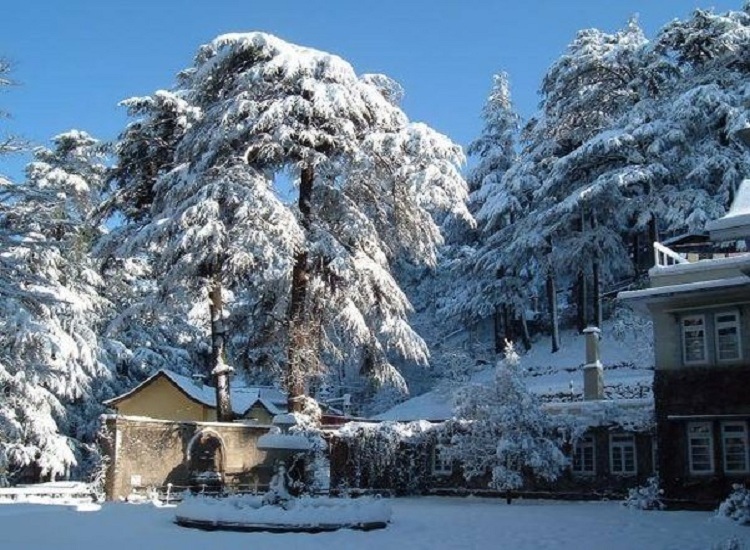 One of the remotest locations in India, you can visit from Manali. This trip is strictly to be taken by road to actually experience what it is all about. Some of the highest motorable roads in the world exist here. 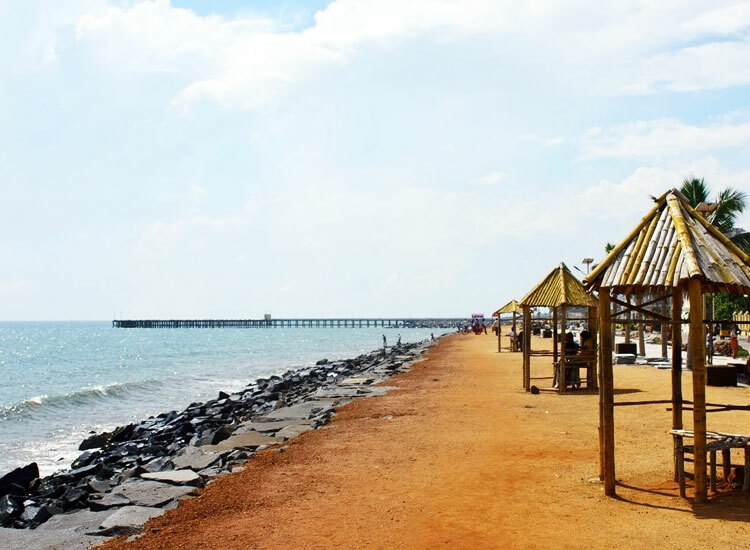 Fun, history and a feel of France, Puducherry is one of the best places for your first solo trio to India. The little union territory snuggled on the shores of Bay of Bengal is a perfect escape for a vacation with yourself. Hire a cycle and go exploring the beautiful colonial architecture French in style. Get to the beach for some serene moments. Auroville Ashram is the place to go if you want to connect with your spiritual side. The food are French delights and beer is cheap, so quite a happy vacation for all. Explore the French pleasures, go cycling or walking around the city, taste the delicacies in the quaint shacks, restaurants and eateries, etc. The closest airport and railway station is in Chennai. A scenic drive from Chennai is one of the best ways to get to the town. Hire a bike or cycle or walk around the town. 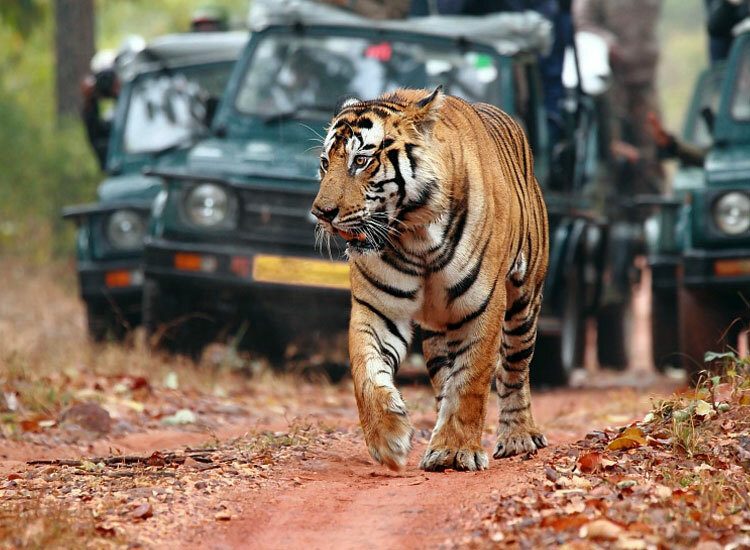 When life becomes wild, it is best to escape to wilderness and Bandhavgarh National Park is one of the best destinations for a solo trip to India. Set amid Satpura and Vidhyan area, the National Park is best known to be the home of Tigers. The former hunting ground of the Rewa Maharaja is blessed with biodiversity. The park is home to around 250 species of birds, 80 species of butterflies, reptiles and many more. Spend the days on wildlife safari or make plans for other places in Madhya Pradesh, as here is where you discover the soul of India. Wildlife safari, photography, excursions to Pench, Tadoba and other Tiger Sanctuaries. You can also plan an extensive itinerary in Madhya Pradesh with a long break in Bandhavgarh National Park. Nearest airport is in Khajuraho and the nearest railway station is Umaria after Katani Railway Station.